Shown with silver frame and blue/black upholstery. The GR-3 Full Commercial Multigym is built from heavy gauge steel and features extra thick padding (2") and durable leather upholstery. The GR3 Multigym's a compilation of the 3 most popular selectorised dual use machines we produce - Lat Pulldown/Mid Row, Multipress, Leg Ext/Curl. 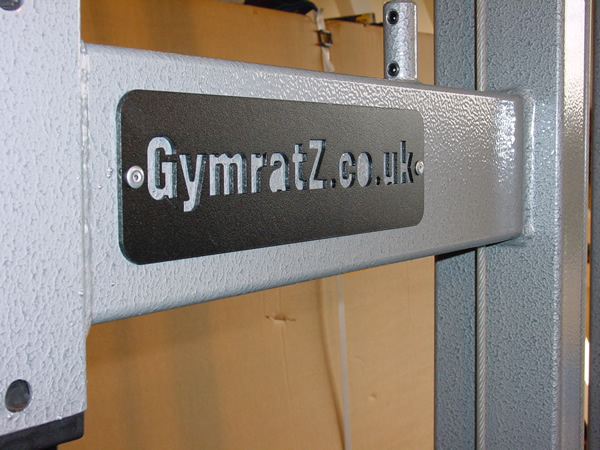 We've also added a separate chinning bar for good measure. This makes the GR3 Multigym one of the most versatile full commercial peices of gym equipment available, barring the recent introduction of our GR4 Multi-Station. The benefit of purchasing the GR3, rather than separate stations, is that it allows you to make the most of your space and SAVE £1200 over buying them individually. 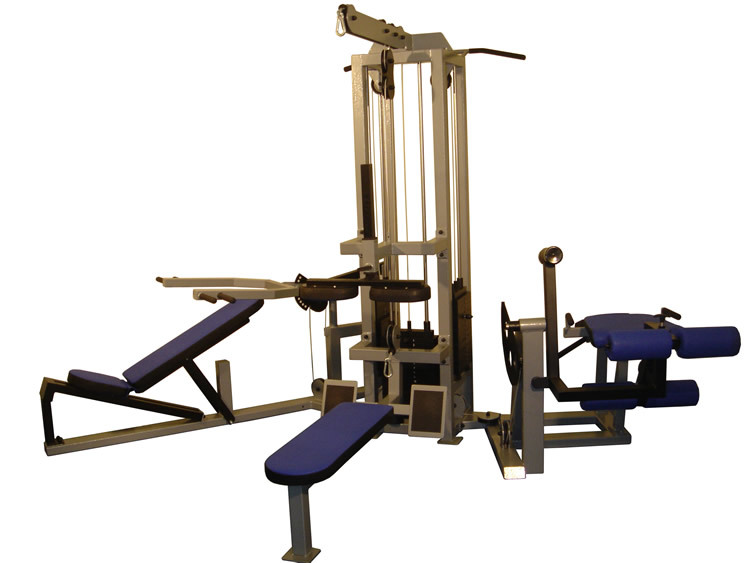 Comfortable motion and easy to use dual use Lat Pulldown / Mid Row. The leg brace and high cable are positioned so that pulldowns behind the neck can be performed correctly (without straining your neck) by allowing enough space for you to sit forward on the bench without kissing the framework. Selectorised Quick Pin Adustable Leg Extension/ Curl. In the upright to flat positions the bench is superb for performing leg extensions. Then, using the quick adjust pins, place the bench in a decline position and adjust the leg roller and you're able to comfortably perform leg curls. Versatile and extremely comfortable Multipress. The moveable well upholstered bench allows users to comfortably perform flat/ incline and shoulder pressing movements.